Steinberg announced "Hypersonic", a virtual digital music workstation. Developed with Wizoo, this VST or AU instrument ships with 1,000 patches, 64 effect sections, 32 freely assignable individual outputs and a polyphonic power of up to 1,024 voices! Equally impressive is its sound generating engine. Though it happily serves up sample-based synthesis, with Virtual Analog, FM, Wavetable and Sliced Loop cooking in its kitchen, this machine cooks up four more menus to satisfy every appetite for synthesis. 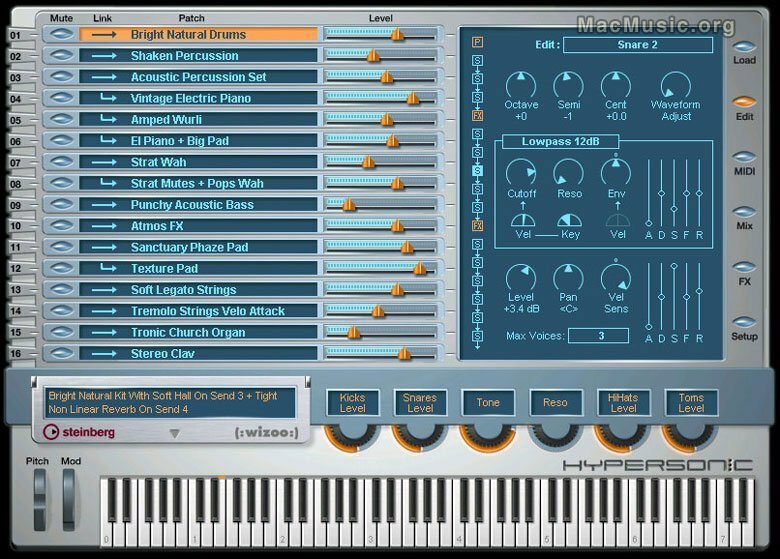 Hypersonic is available for both PC or Mac, with a Mac G3-500 Mhz processor, 256 Mb RAM and Mac OS 10.2 minimum. Hypersonic will soon ship for a suggested retail price of 399.00 Euros. 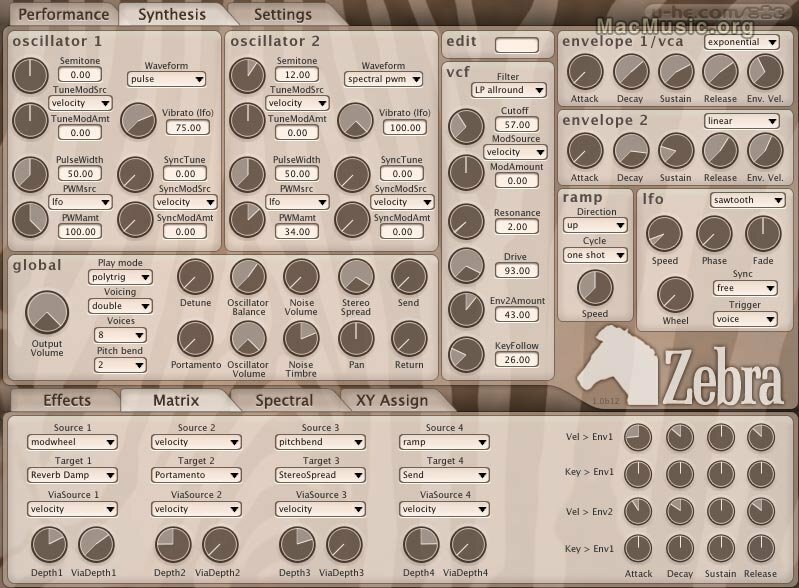 Zebra is a virtual synthesizer plug-in. It combines subtractive and additive synthesis with a powerful modulation engine that even smoothly integrates with the built-in effects section. 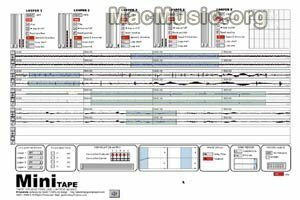 The Audio Units version for MacOS X will be available to musicians with fastidious sound requirements in December 2003. Zebra will cost only 159$ (US)! - But as a special pre-order offer, users can save almost 50% by purchasing this now. Meanwhile, there's a public beta version you can check out for free until December 2003! All MHC plugins -previously windows only- are now available for Mac OSX as Audio Units. Studio Setup is a $79 bundle of 16 AudioUnit (AU) plugins. Included in the Studio Setup are Space Synthesizer, Fatsondo, Voxynth, Vox FX, Space Effect and the FlexFX plug-in package. 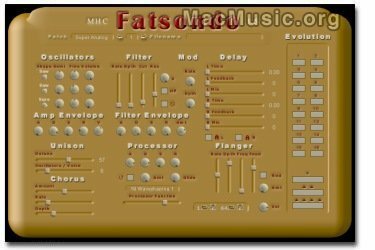 MHC Synthesizers and Effects homepage Post a comment ?